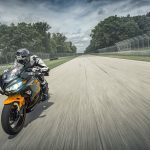 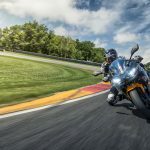 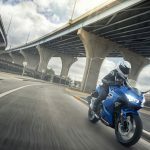 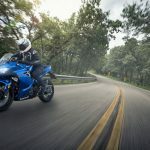 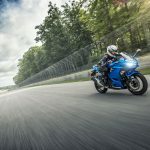 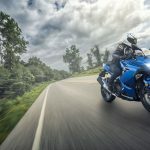 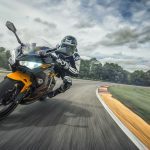 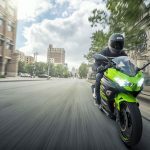 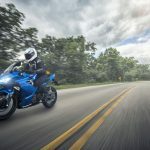 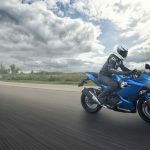 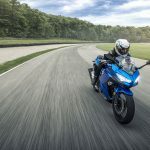 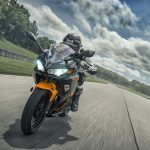 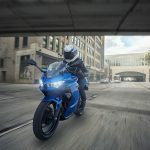 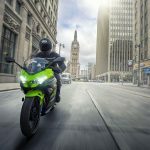 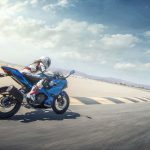 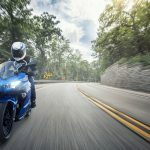 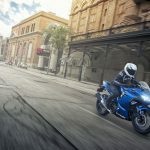 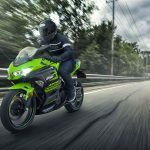 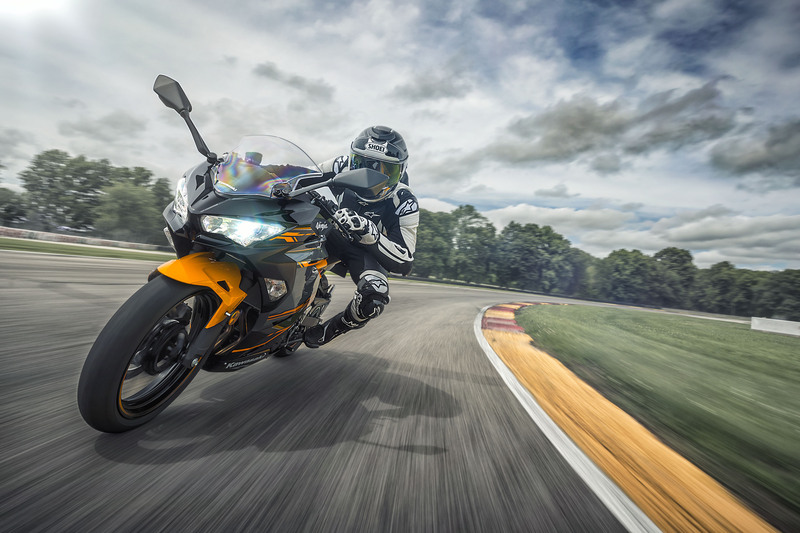 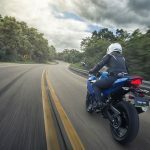 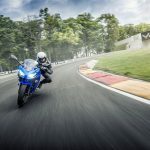 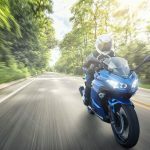 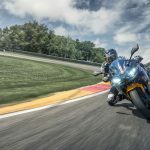 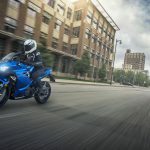 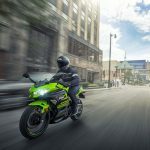 After unveiling the Ninja 400 at the Tokyo Motor Show and seeing it again in Milan at EICMA, Kawasaki officially announced the new 399cc sportbike for the U.S. market. 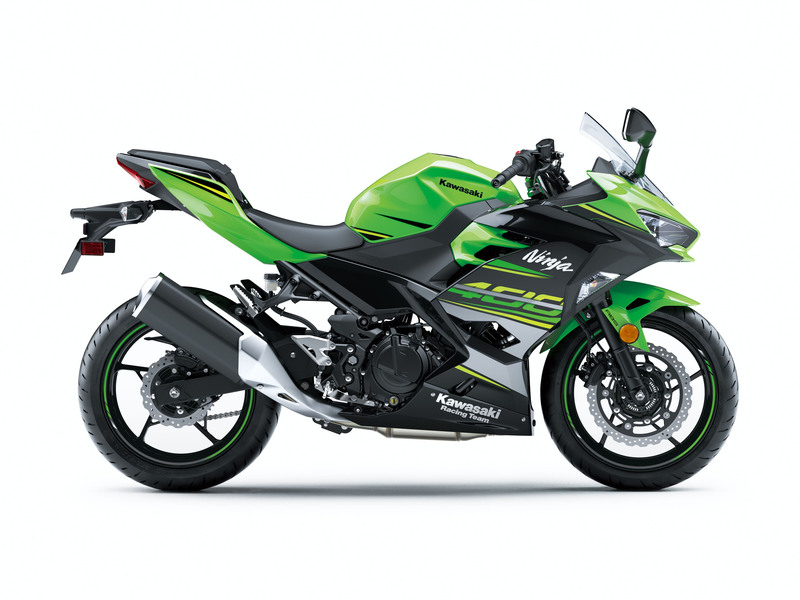 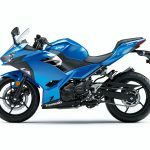 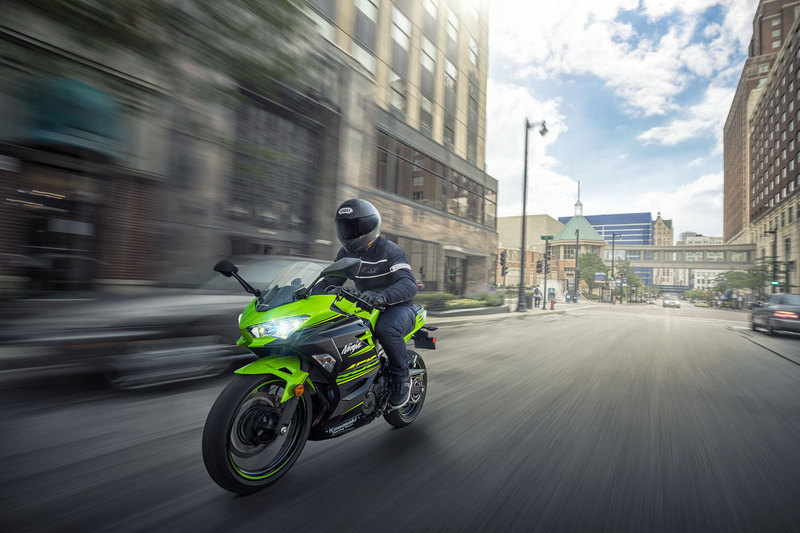 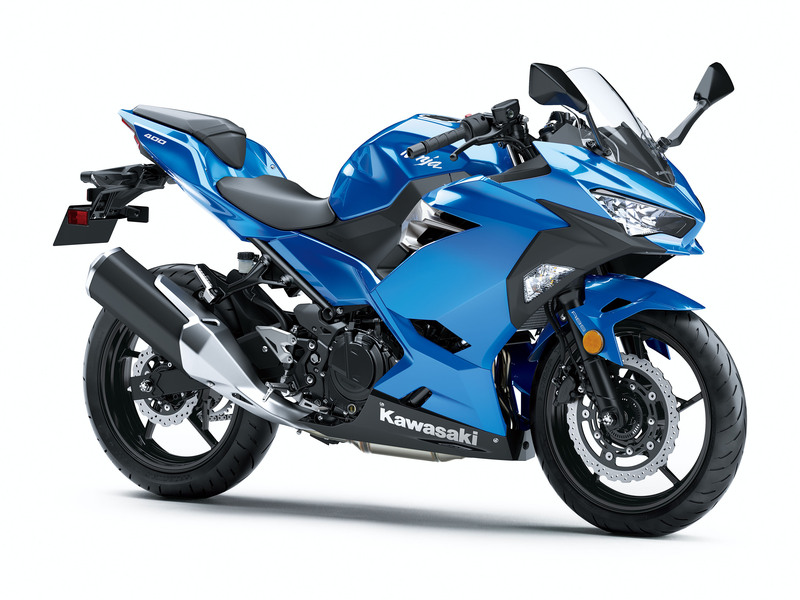 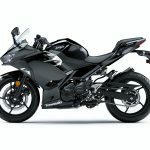 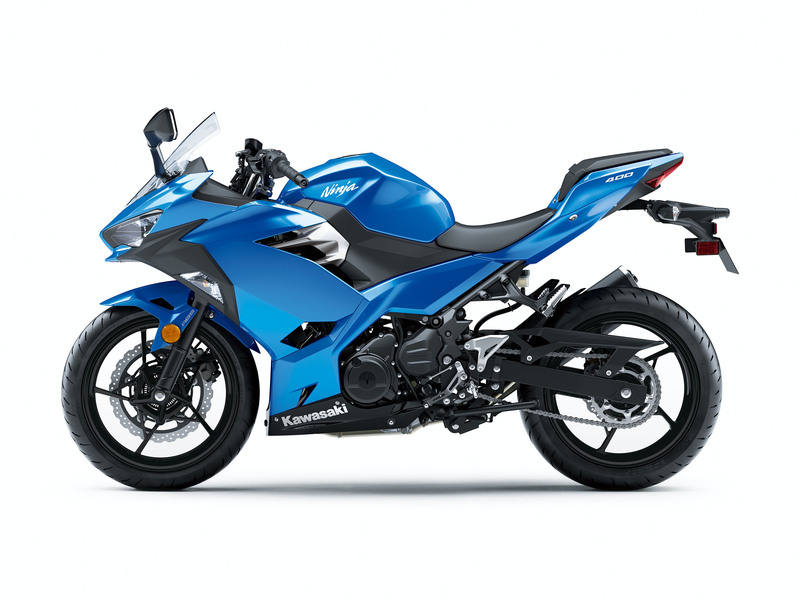 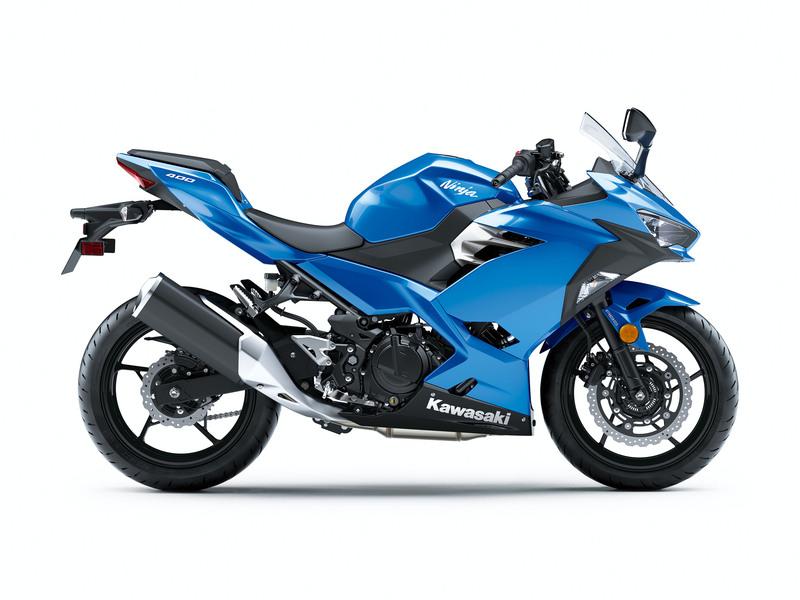 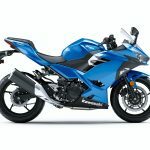 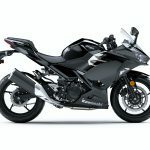 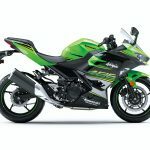 Impressively, American pricing starts at $4,999 for the 2018 Kawasaki Ninja 400, the same MSRP as the outgoing Ninja 300 (the ABS version is also priced similarly, at $5,299). 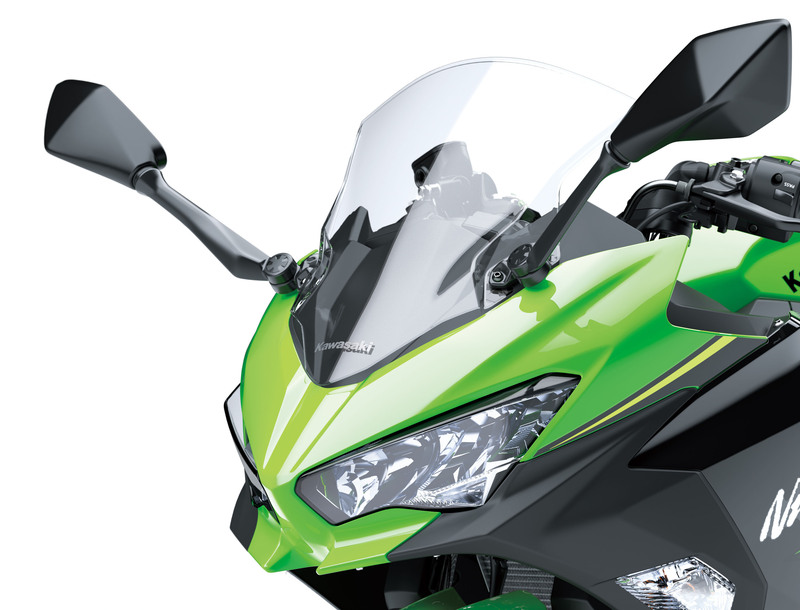 We’ll also see a KRT edition color option (with ABS) in dealerships carrying a $5,499 price tag. 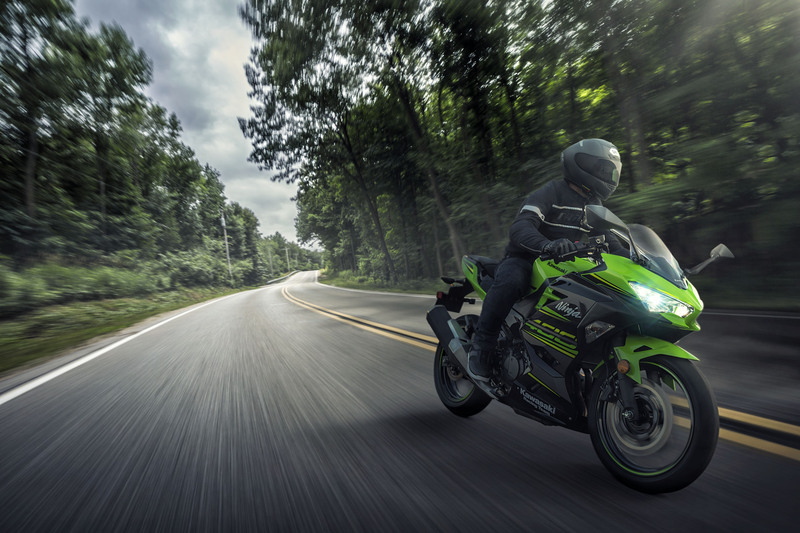 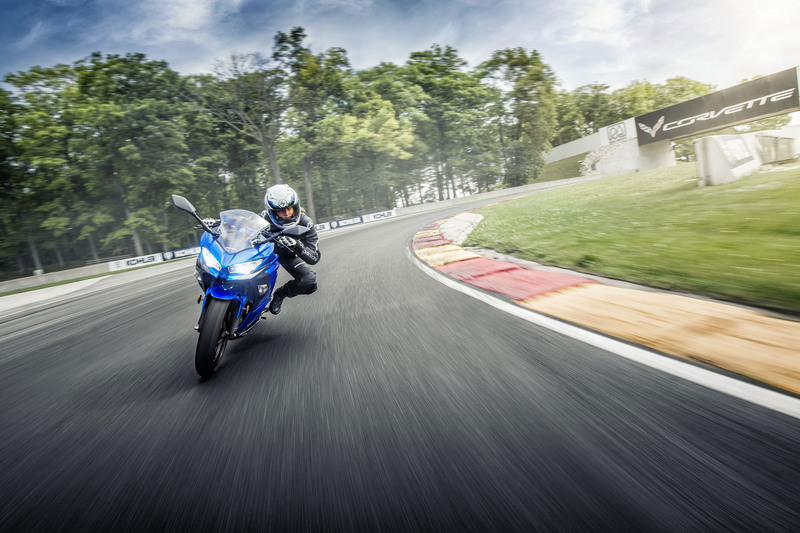 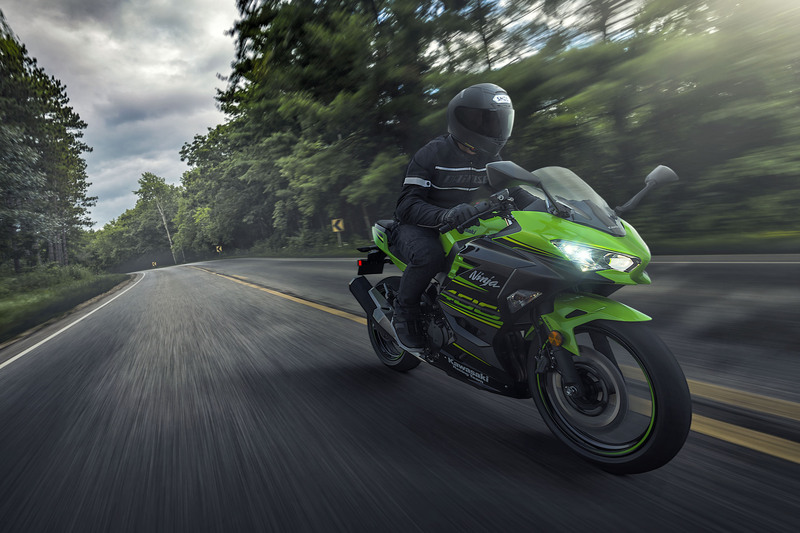 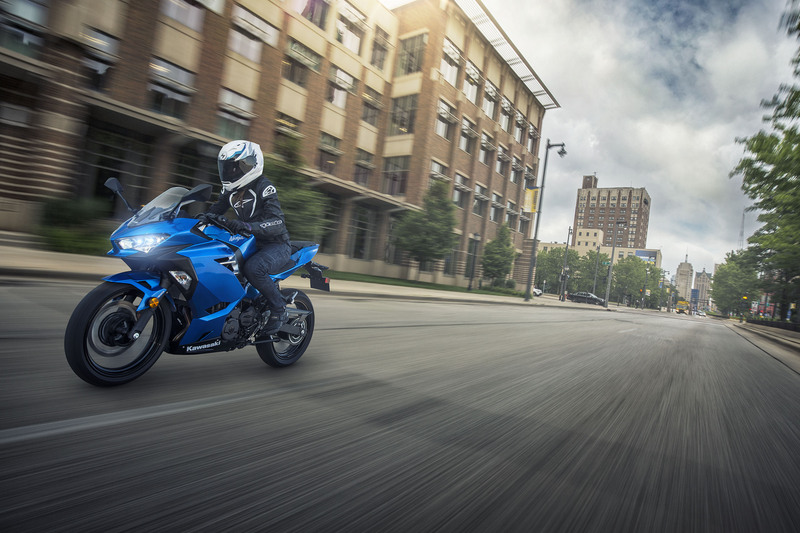 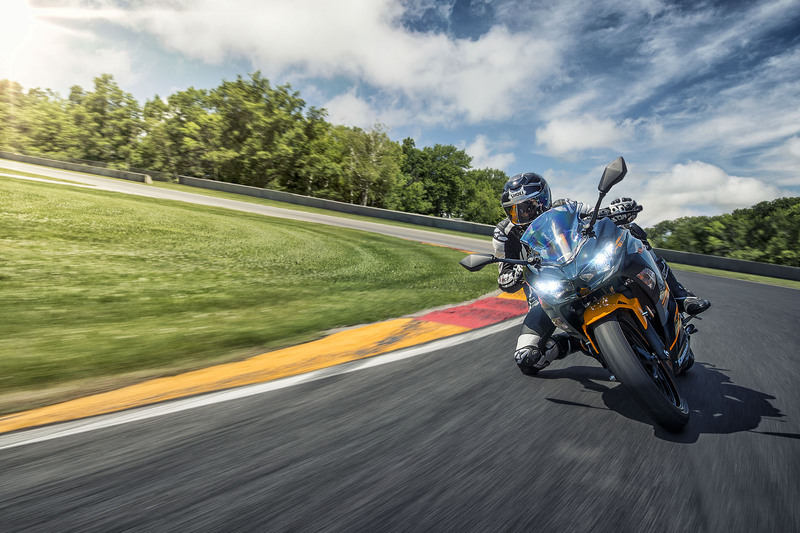 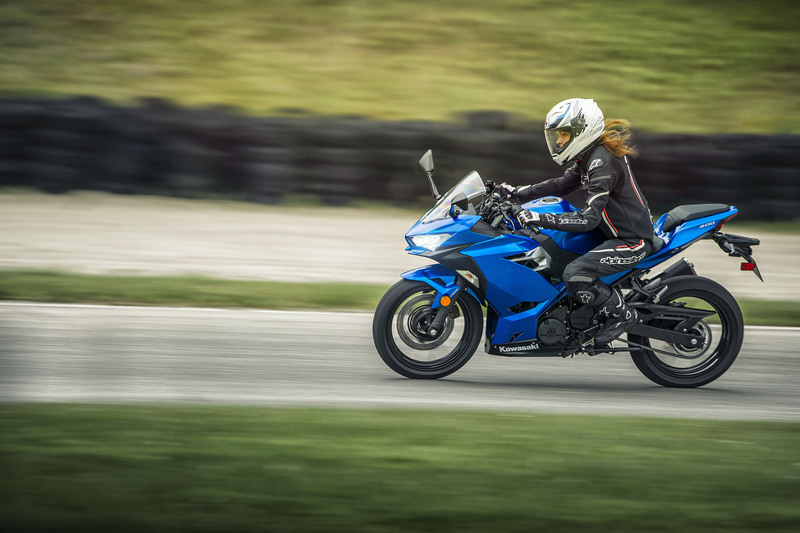 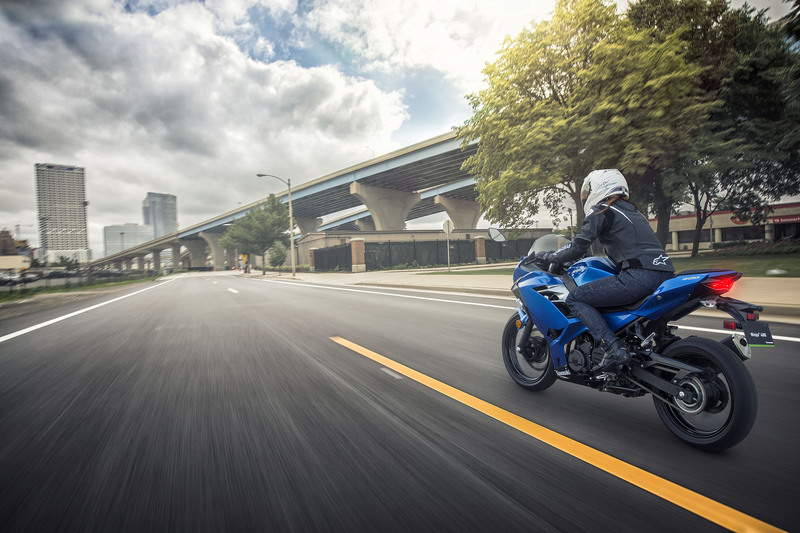 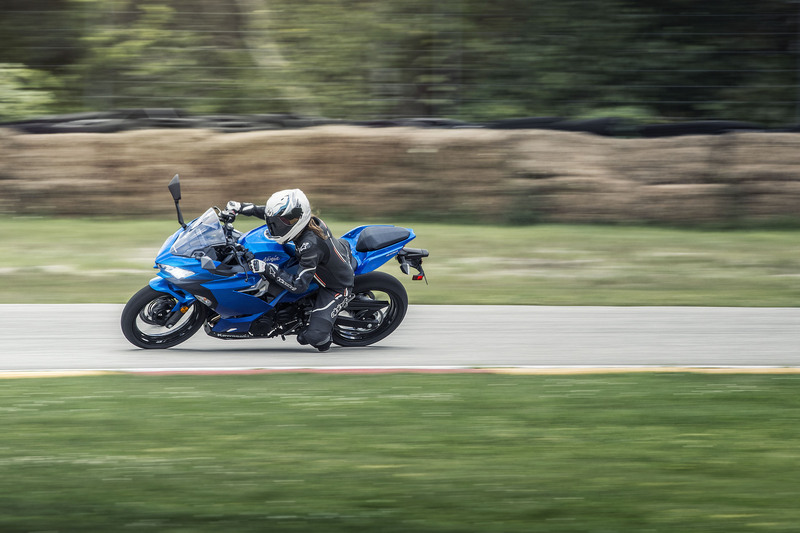 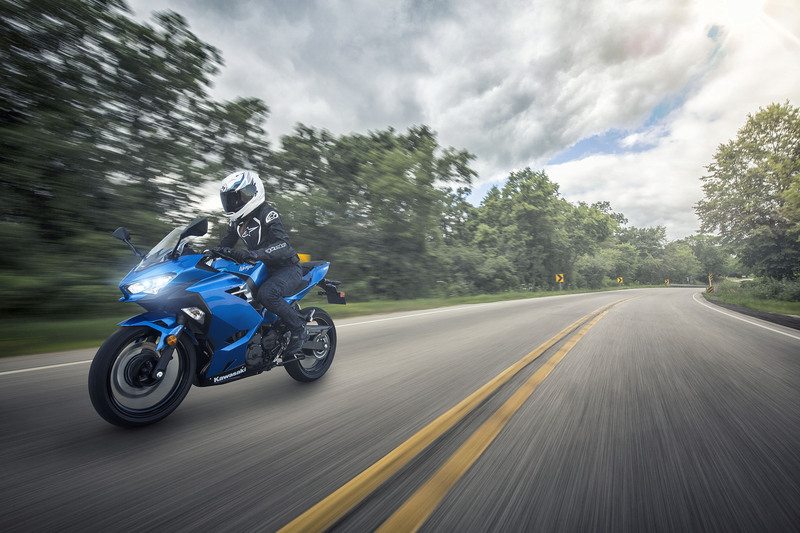 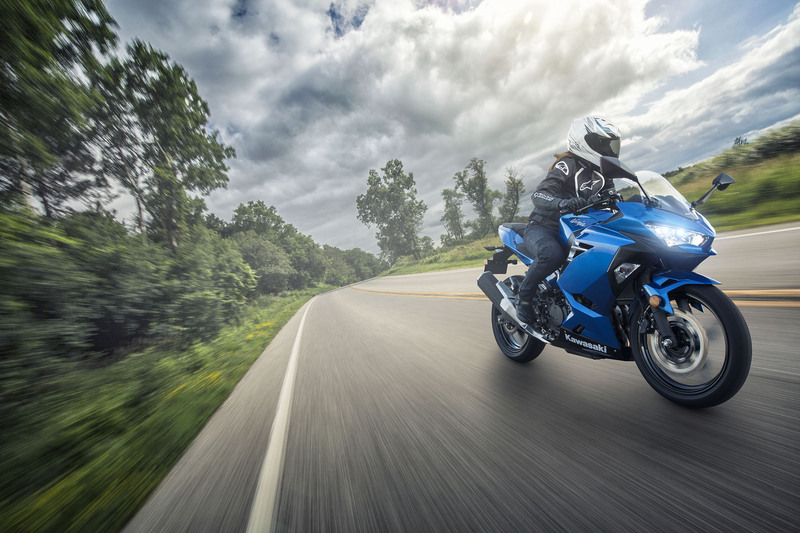 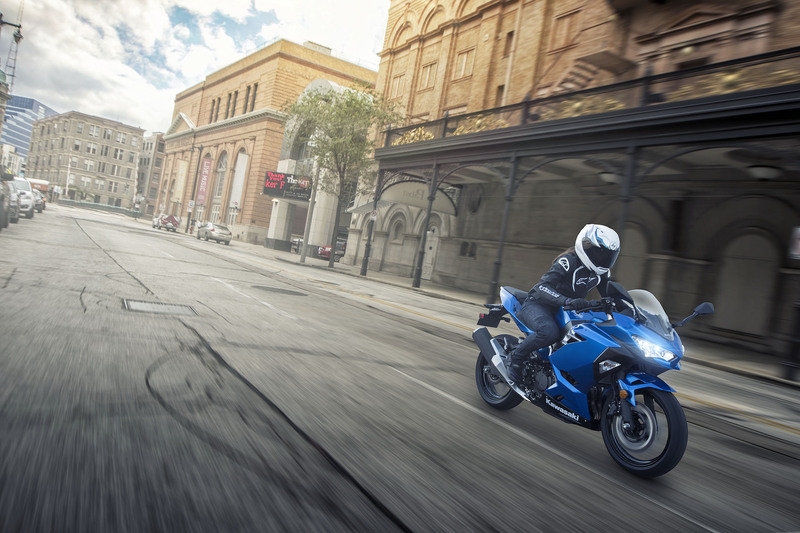 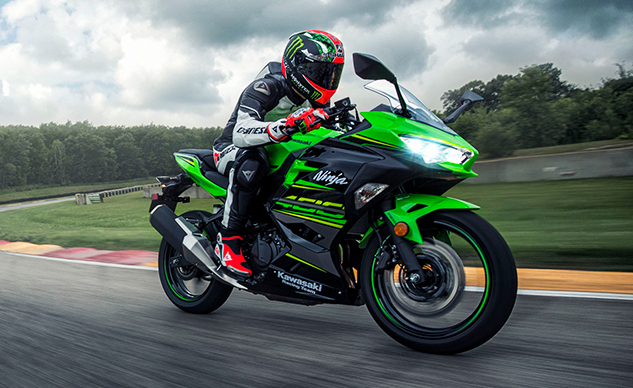 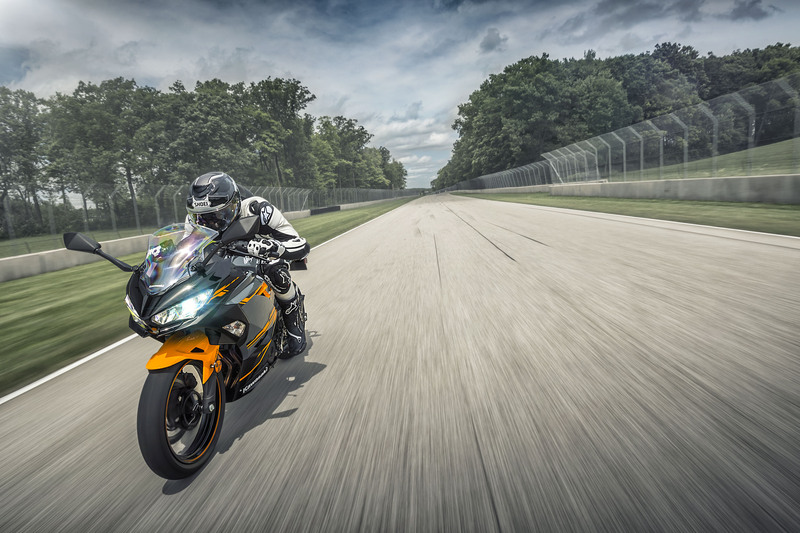 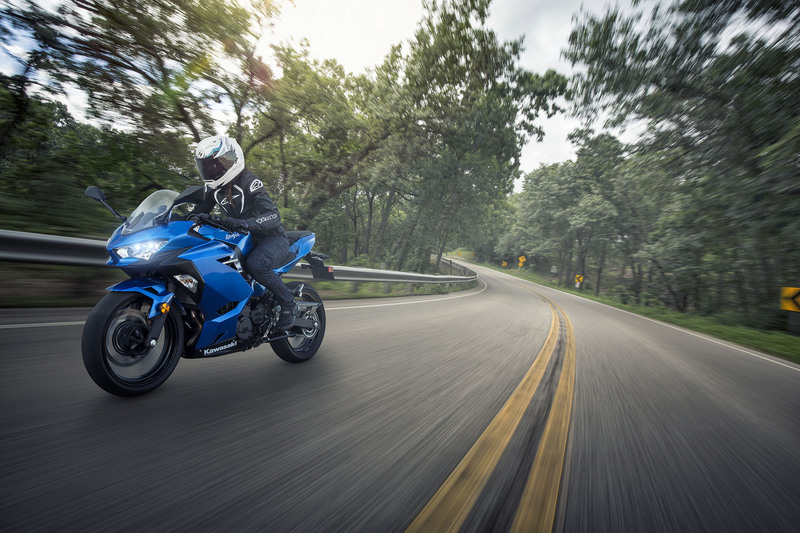 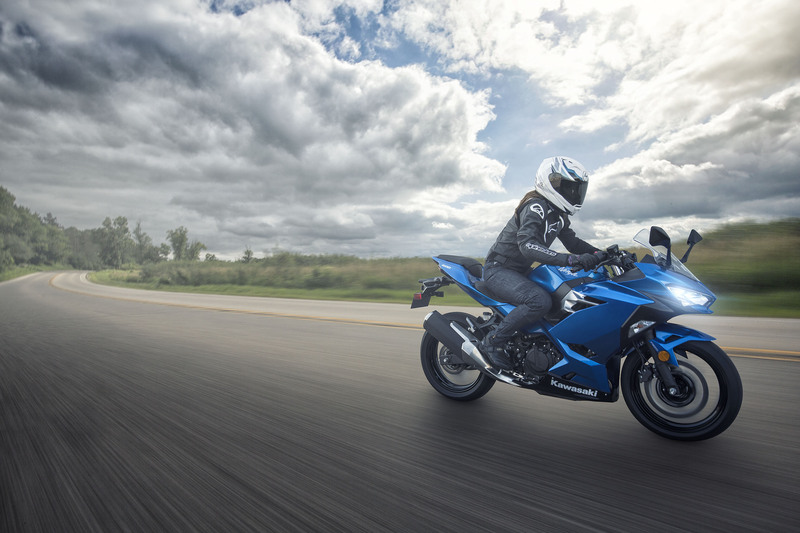 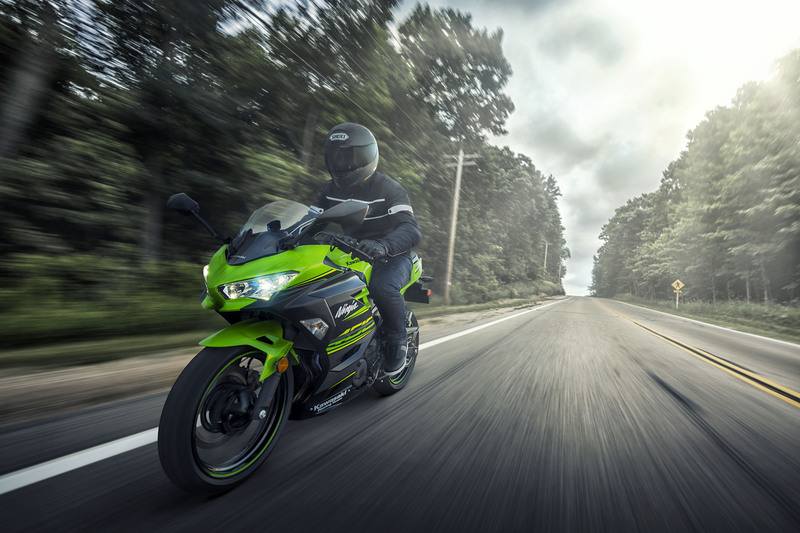 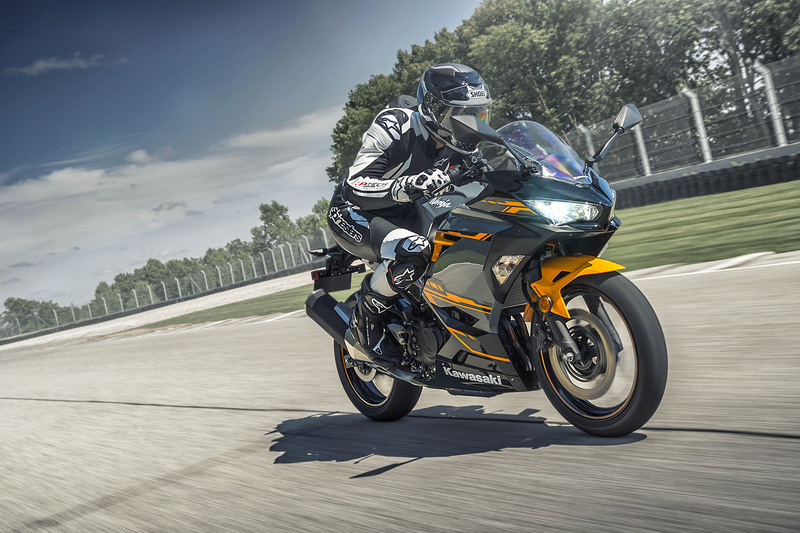 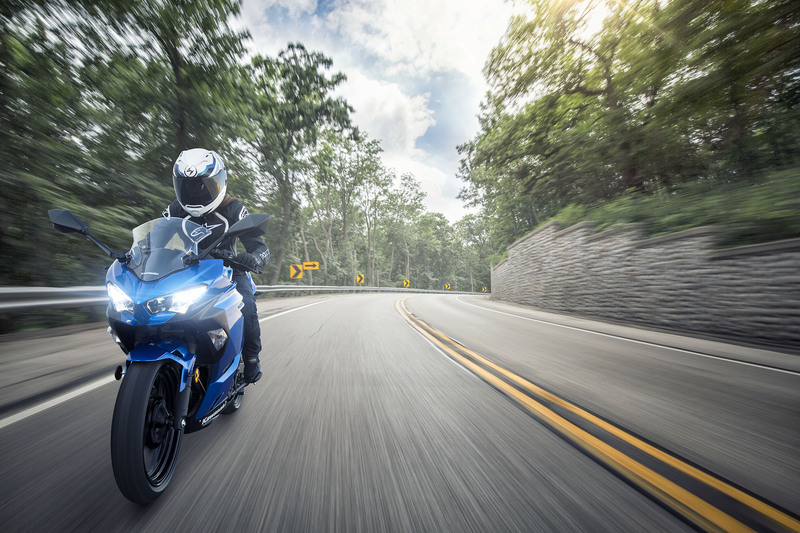 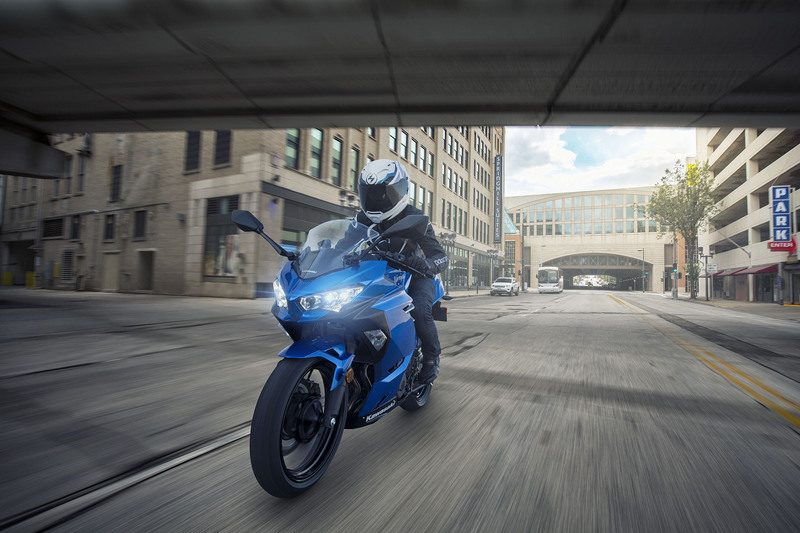 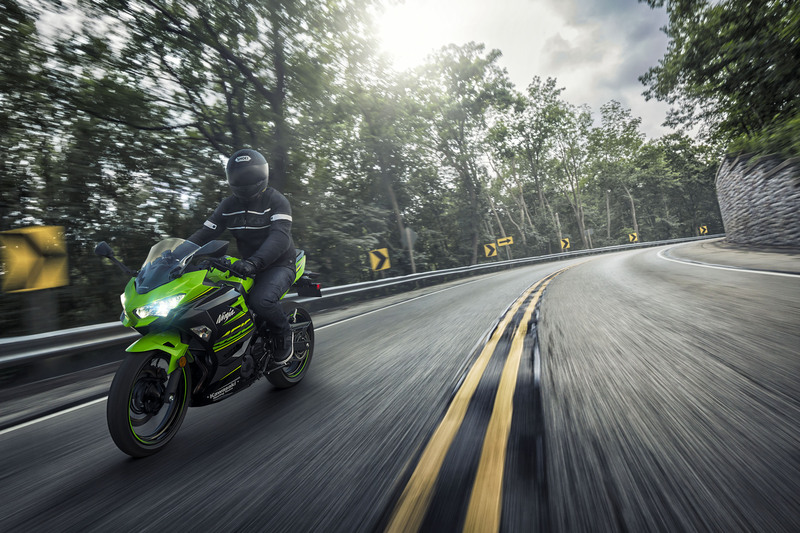 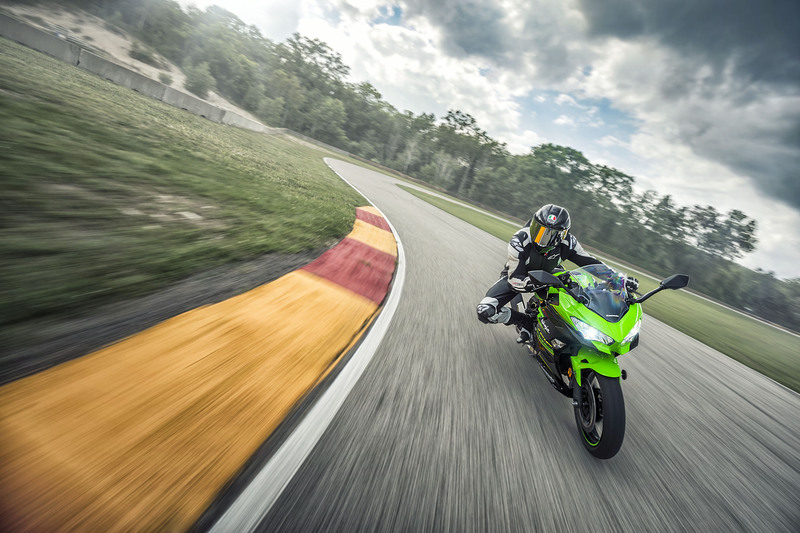 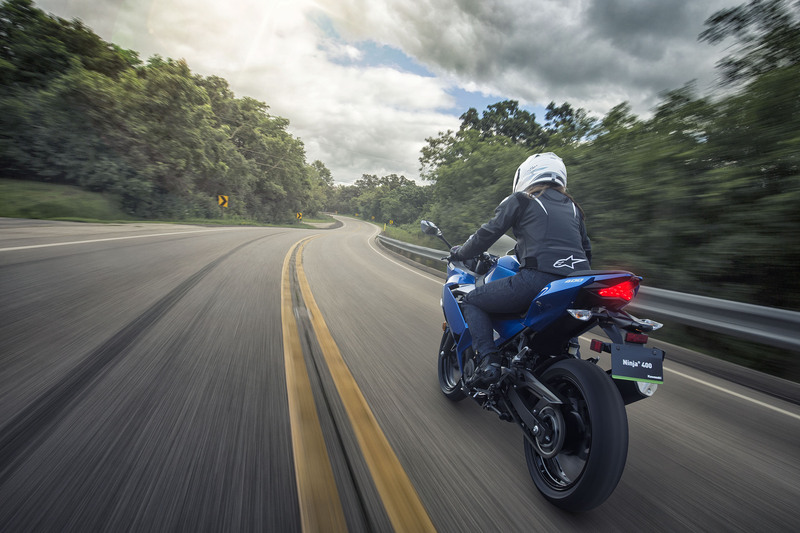 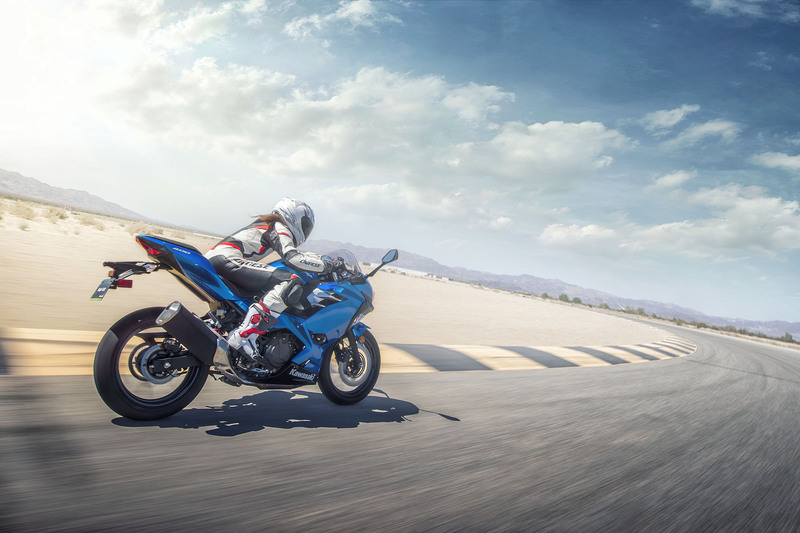 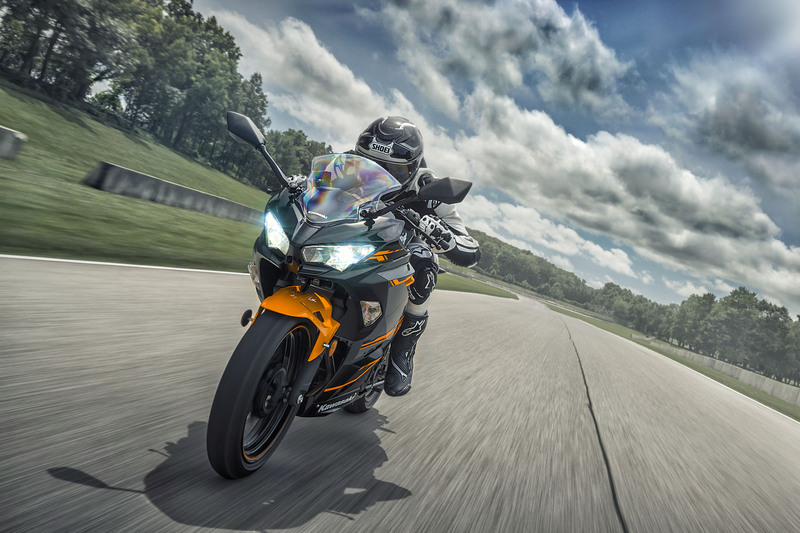 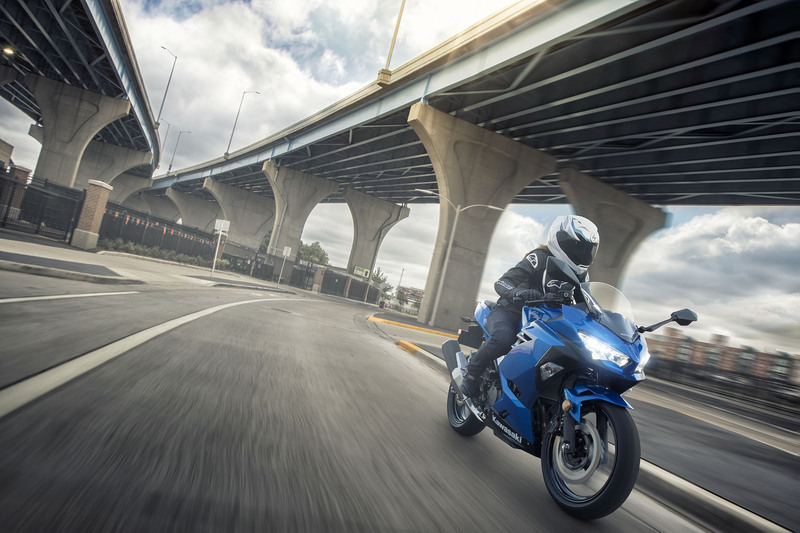 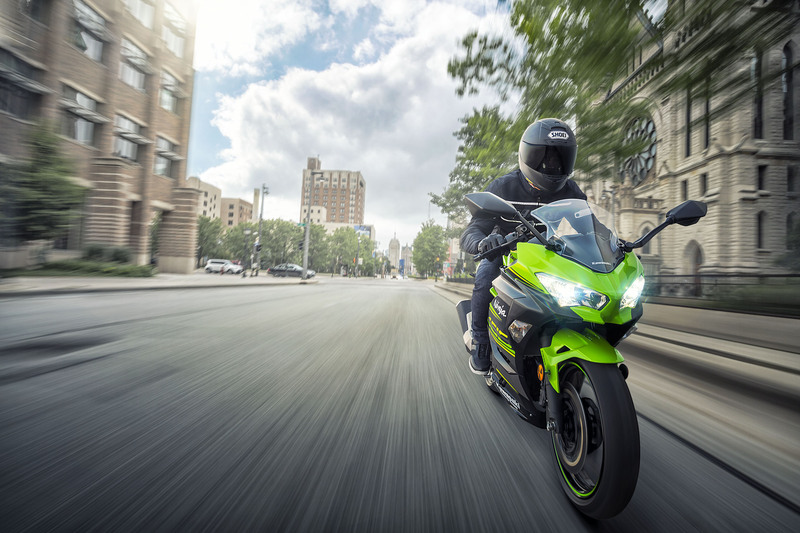 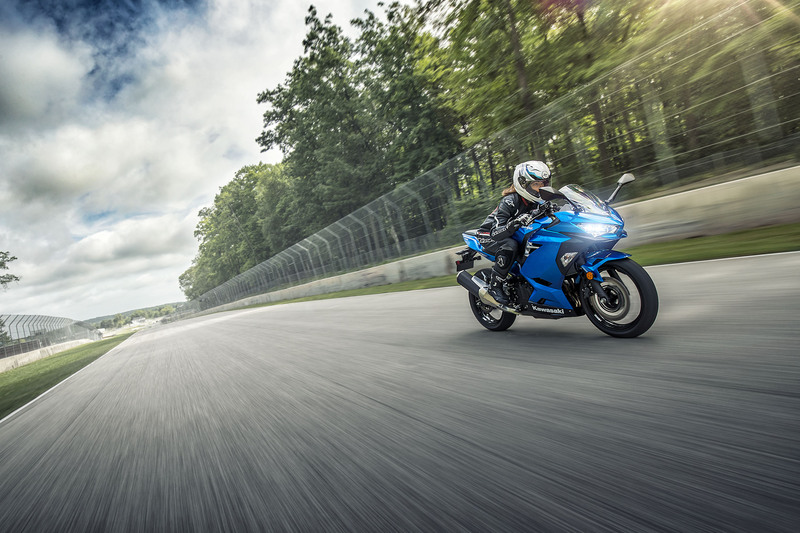 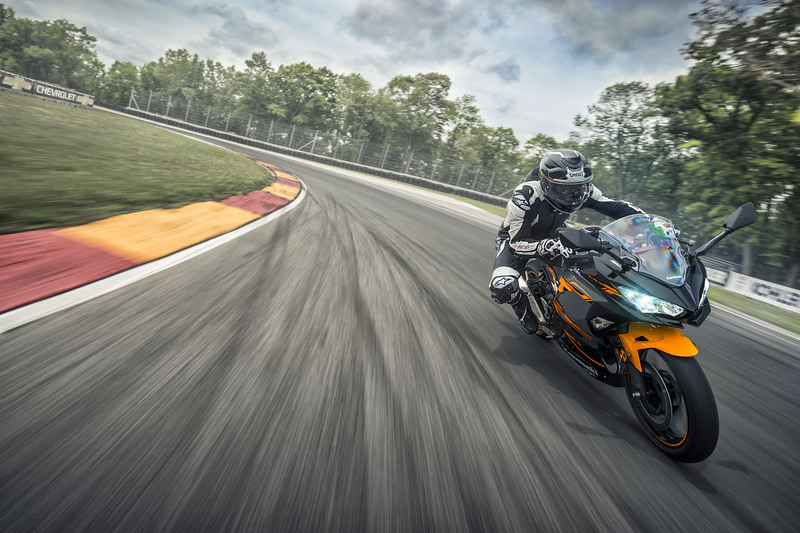 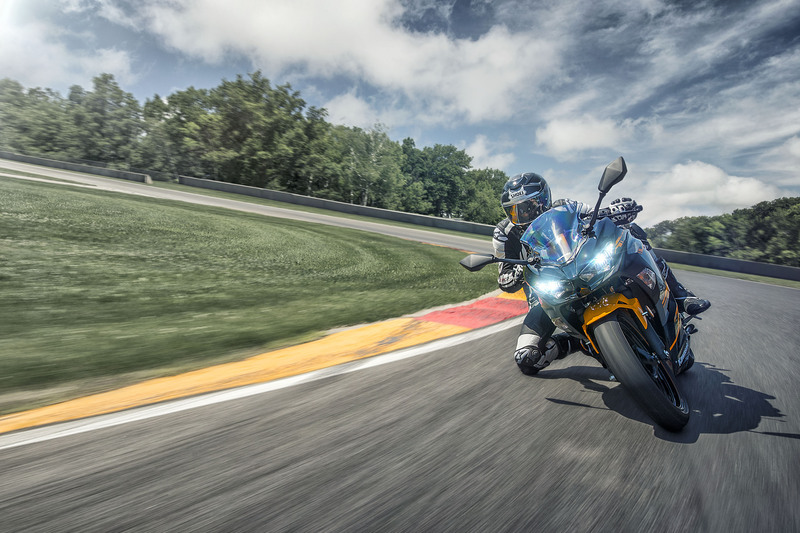 The Ninja 400’s U.S. availability doesn’t come as a surprise. 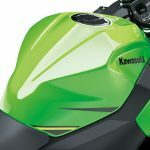 We already know it was coming thanks to filings with the California Air Resources Board, but we didn’t need government certification documents to tell us Kawasaki would bring the Ninja 300’s replacement here, given how many American motorcyclists first learned to ride on the 400’s predecessor. 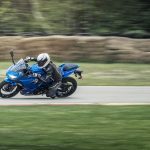 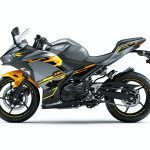 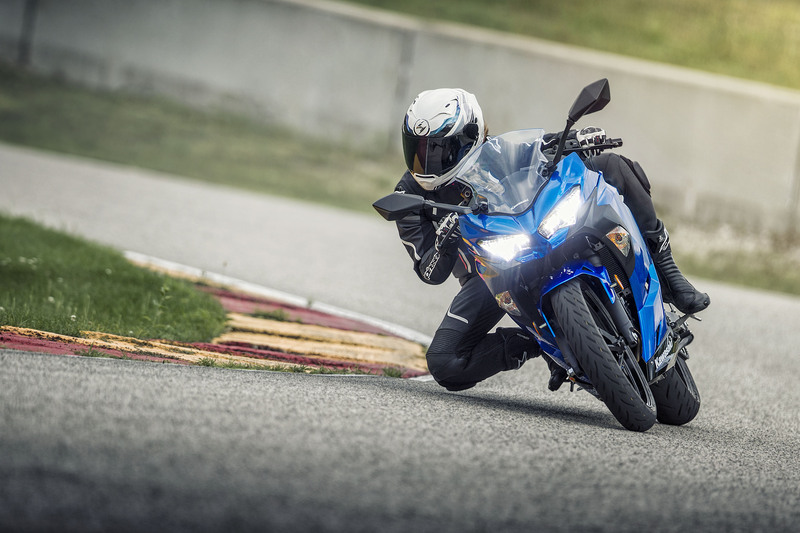 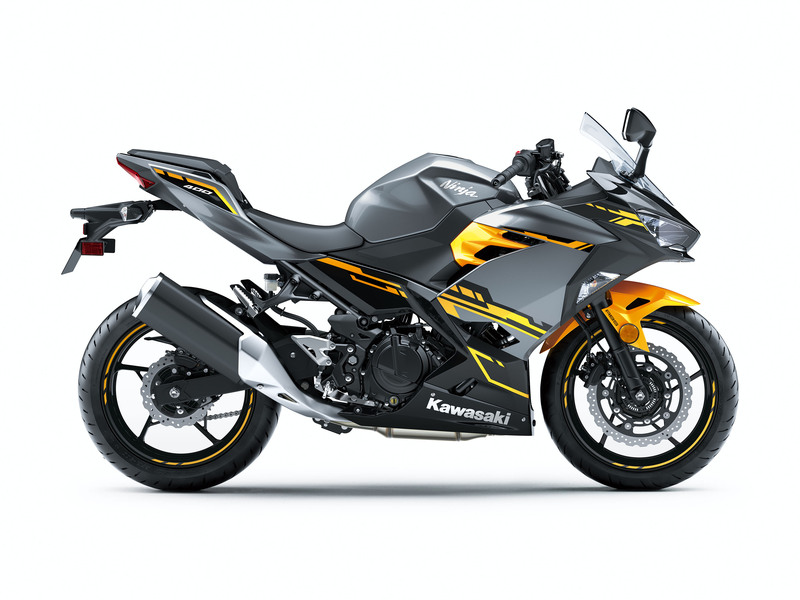 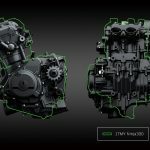 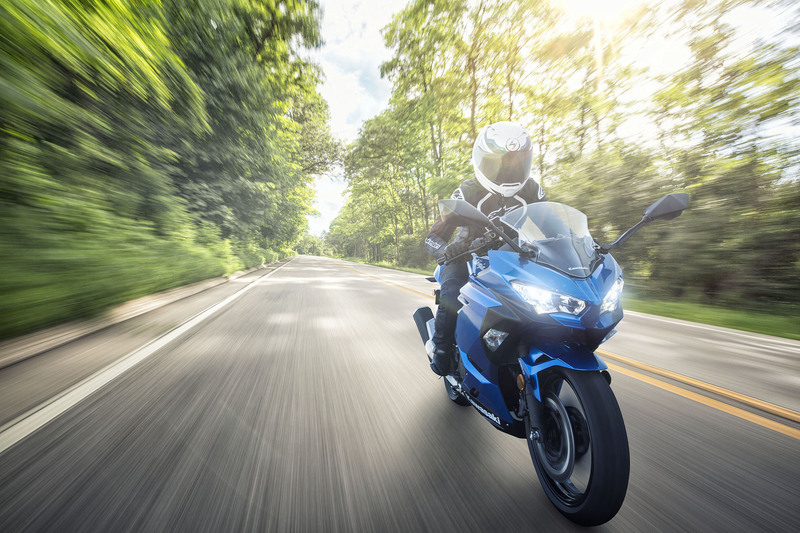 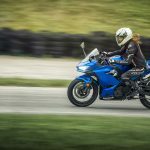 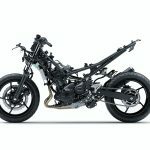 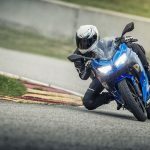 As previously announced, the Ninja 400’s parallel-Twin engine has a 70.0 mm bore and a 51.8 mm stroke (compared to 62.0 mm by 49 mm for the 296cc Ninja 300). 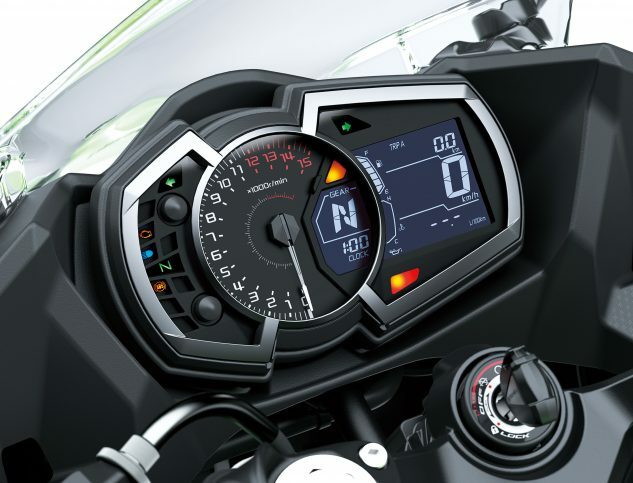 The compression ratio is also higher at 11.5:1 versus the 300’s 10.6.1 ratio. 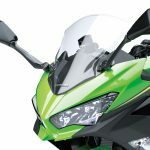 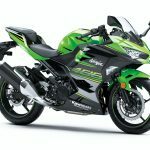 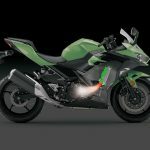 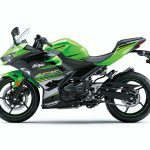 Kawasaki added a larger air box with a new downdraft intake, claiming increased performance at high rpms and increased efficiency. The 5.8 liter airbox is more rigid at the top, reducing unwanted noise to produce a clearer intake note during acceleration. 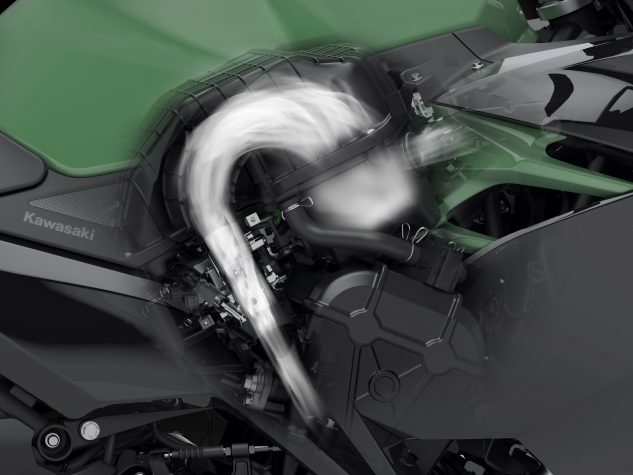 New intake funnels with different heights help to smooth engine response. 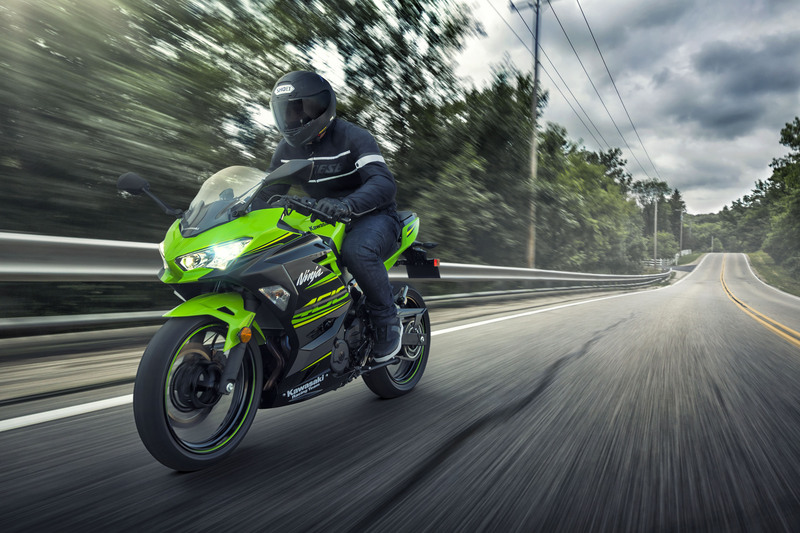 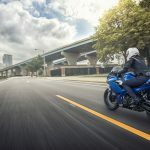 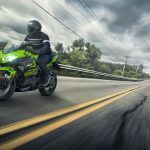 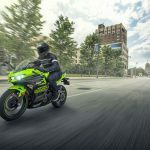 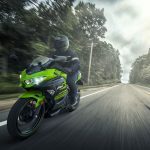 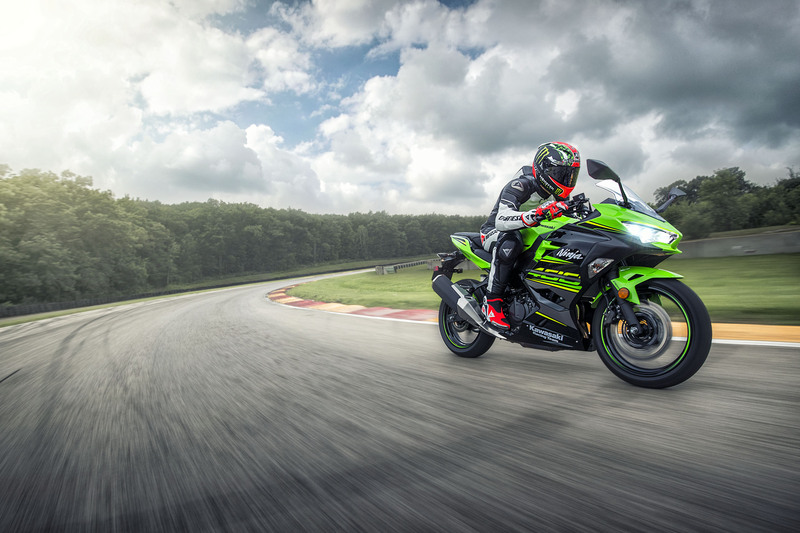 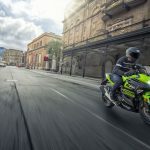 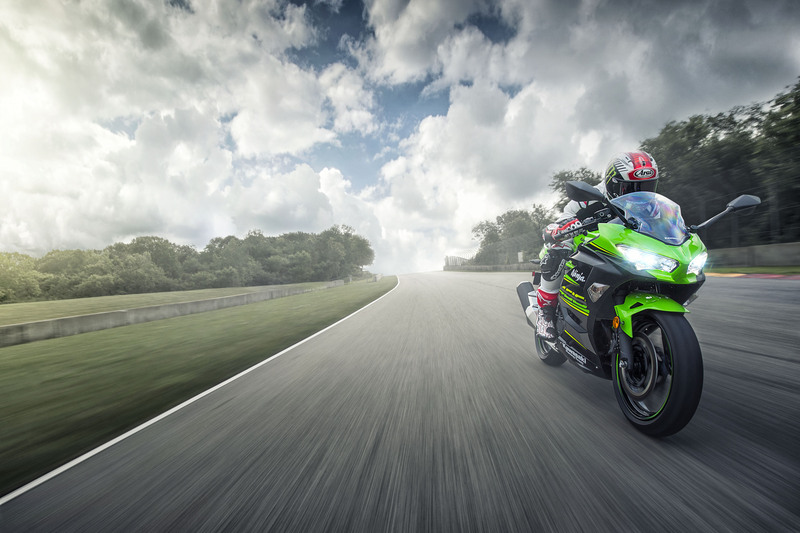 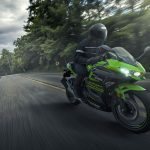 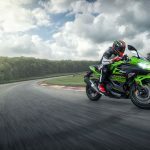 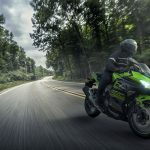 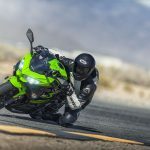 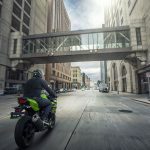 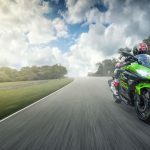 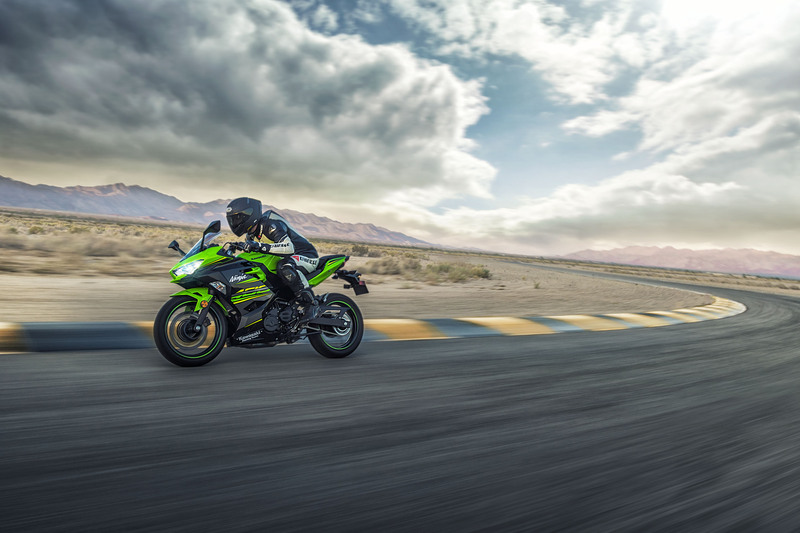 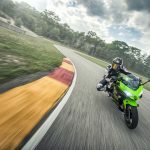 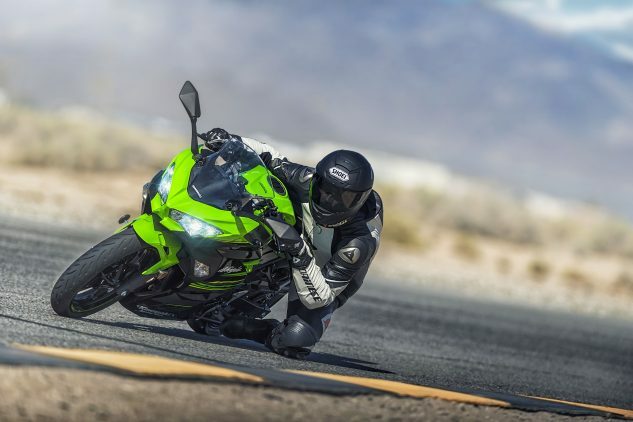 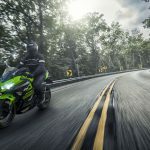 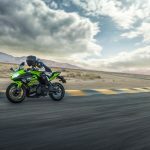 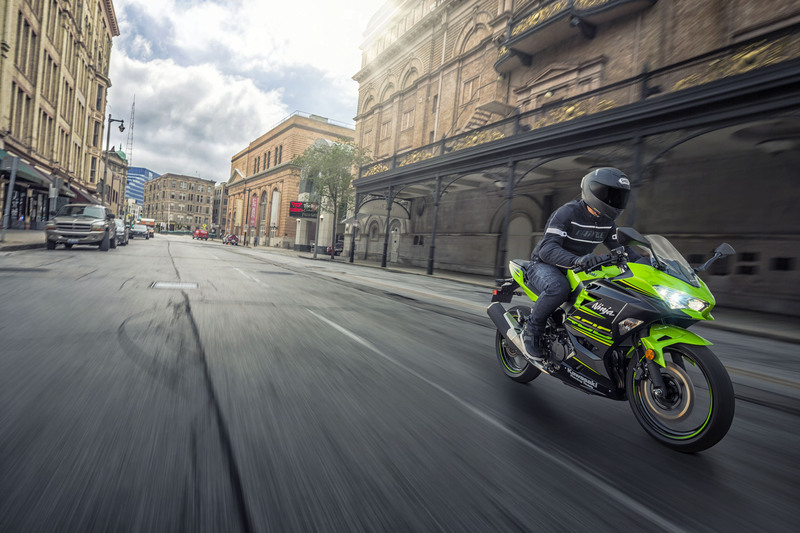 Kawasaki hasn’t released any figures for the U.S.-spec model, but the European version claims a peak output of 44.8 hp at 10,000 rpm and 28.0 lb-ft. at 8000 rpm. 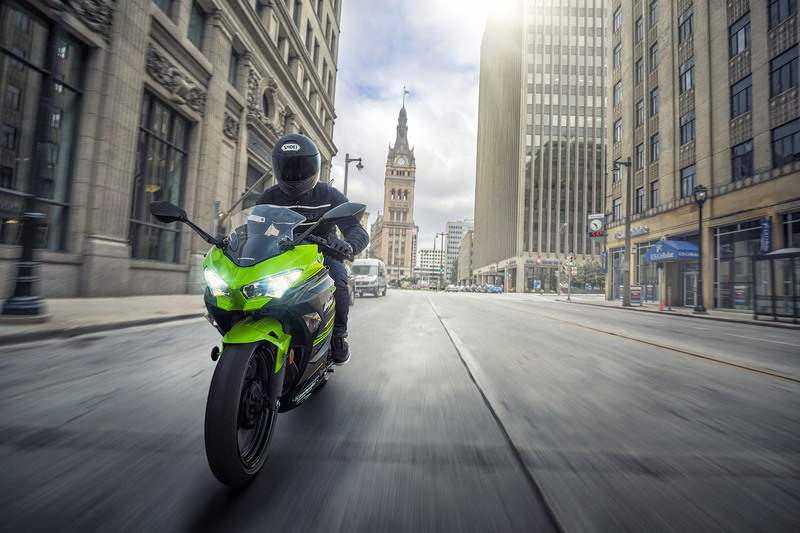 The downdraft intake flows air through a shorter, more direct path than the Ninja 300’s intake, improving efficiency and increasing engine power. 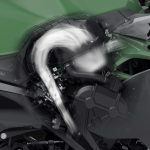 New 32mm throttle bodies direct a larger volume of air from the intake. 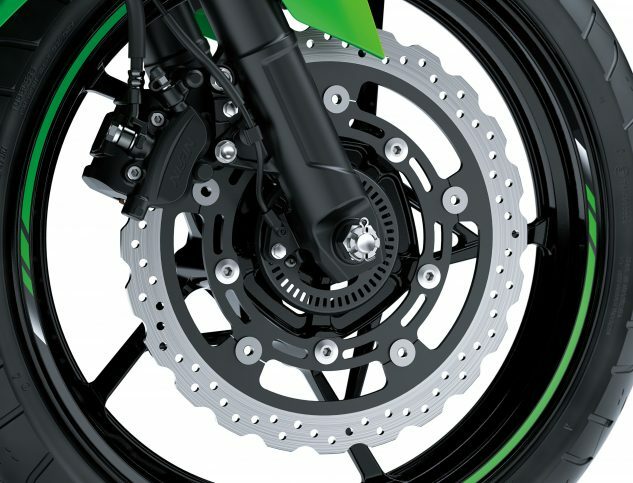 The butterfly valves are oval shaped, which allows them to be at an angle when closed, allowing for quicker throttle response. 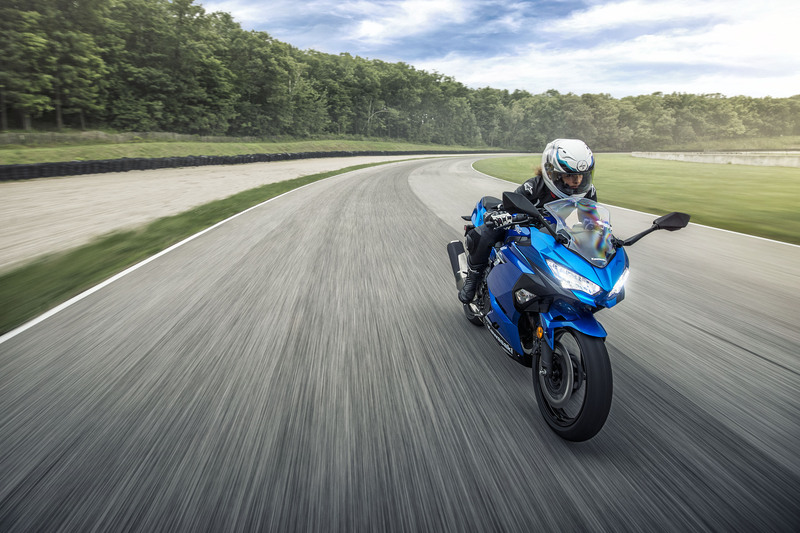 The 27.5 mm intake and 23.5 mm exhaust valves were employed to optimize high-rpm performance. 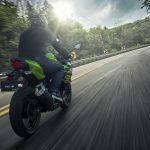 Because of the new intake design, Kawasaki was able to position the fuel injectors closer to the throttle valves, claiming improved combustion efficiency and a linear throttle response. 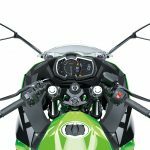 Kawasaki managed to make some weight savings by using a forged camshaft and eliminating sub-throttles. 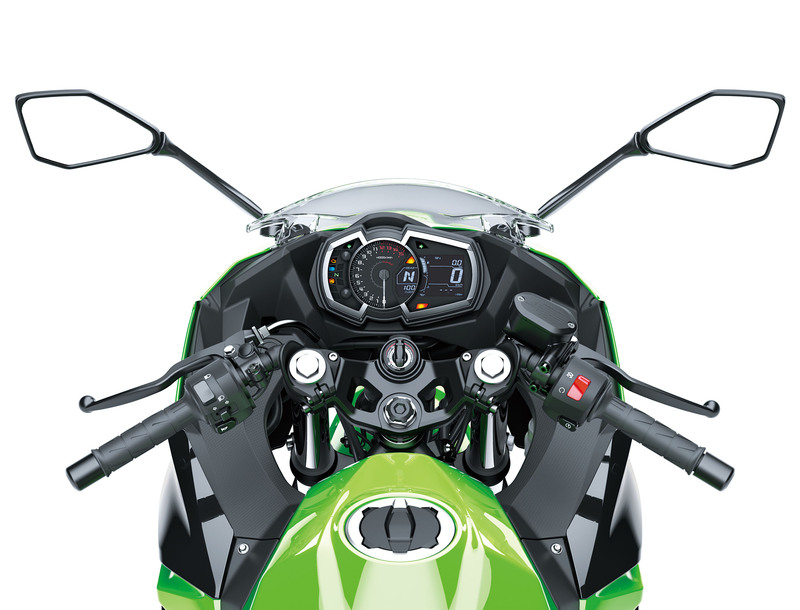 A revised cooling system also users shorter external piping, further reducing weight. 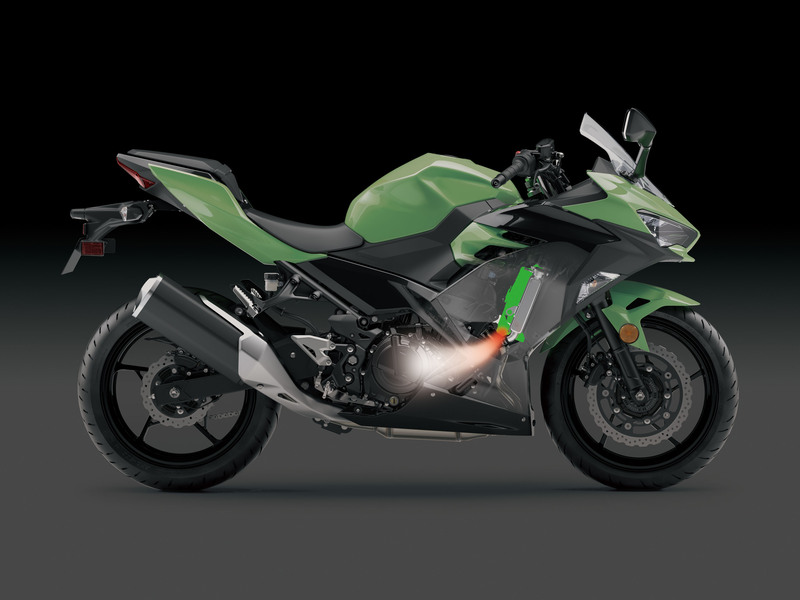 The engine is paired with a six-speed transmission with close gear ratios. 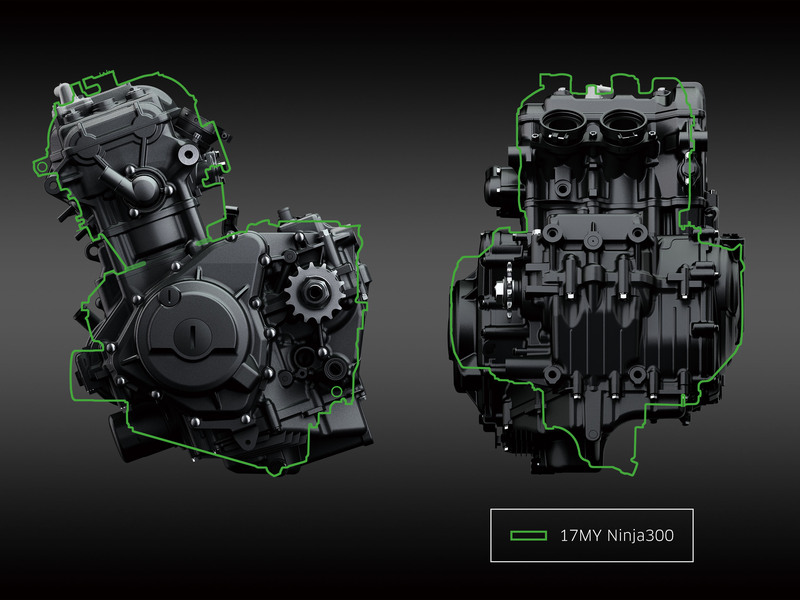 The assist and slipper clutch is more compact than the one used on the Ninja 300, with less rigid operating plate for a lighter lever feel and a wider engagement range. 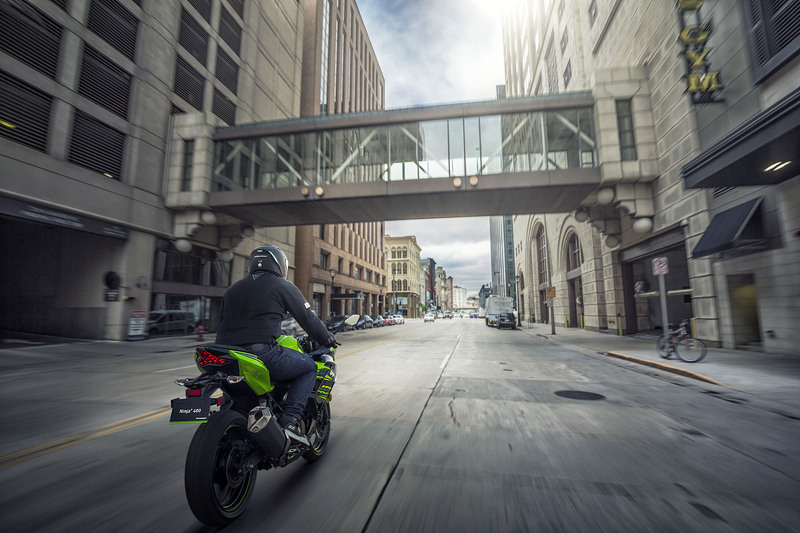 Following a trend that began with the Ninja H2 and continued by the Ninja 650, the 400 uses a trellis frame. 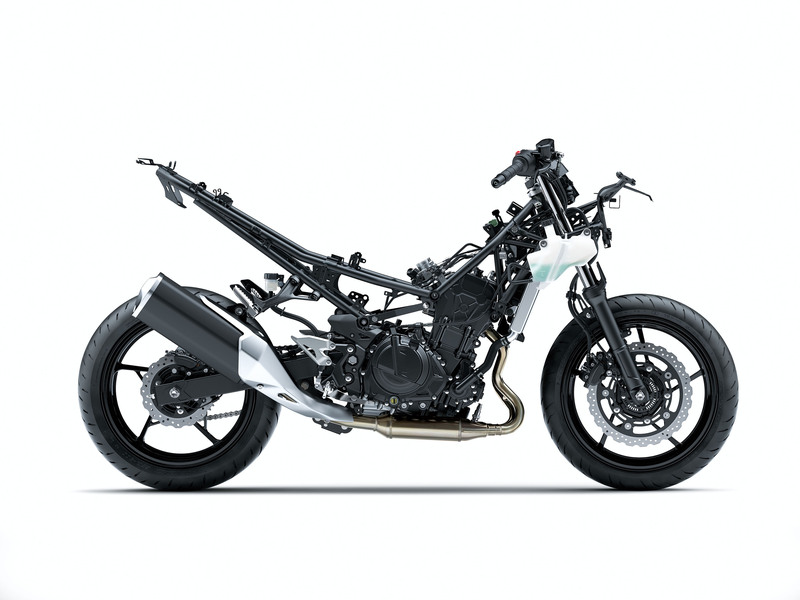 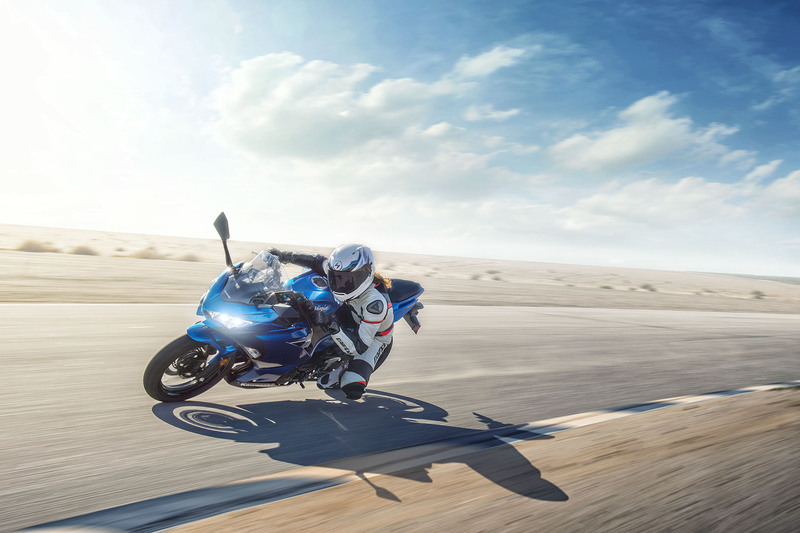 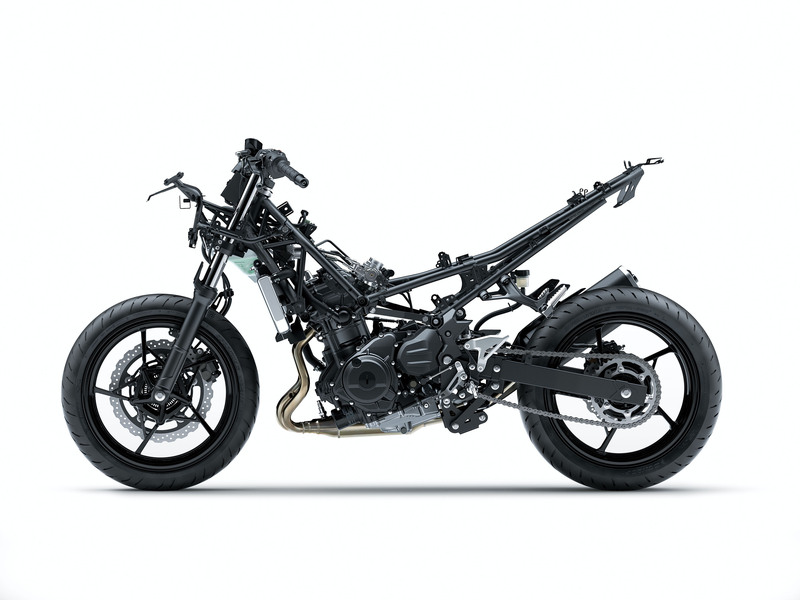 Despite a longer swingarm, the chassis has a 53.9-inch wheelbase, nearly an inch shorter than the Ninja 300. 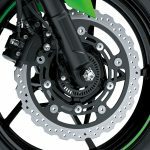 The swingarm mounting plate is die-cast and bolts to the back of the engine, eliminating the need for additional cross member pieces. 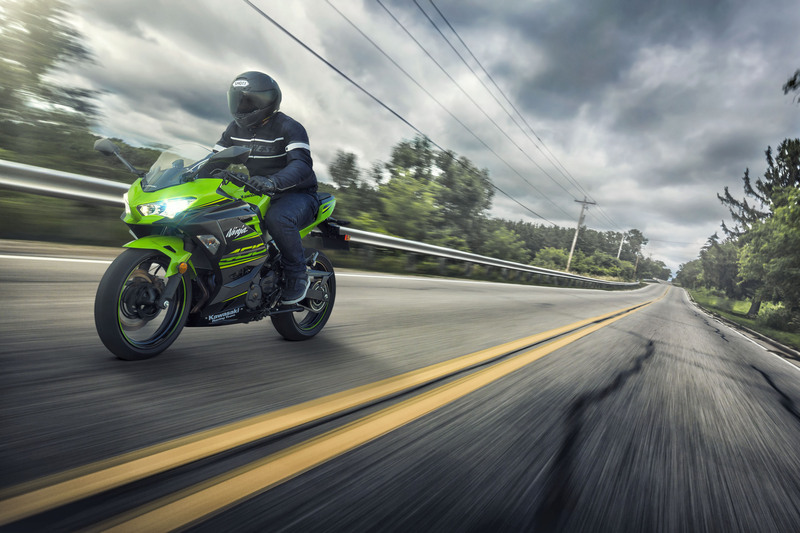 Up front, the Ninja 400 uses a 41mm telescopic fork with a steeper caster angle than the Ninja 300’s 37mm fork. 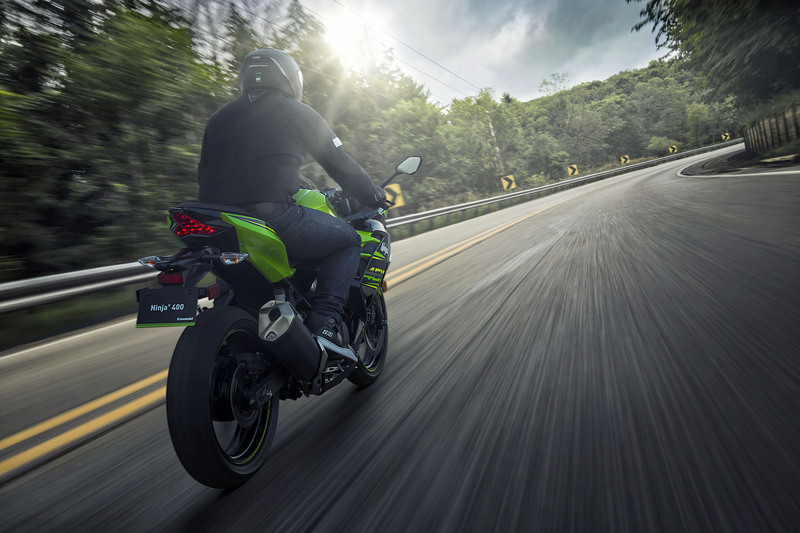 The rear shock uses a new linkage and has revised suspension settings while allowing for five-way preload adjustability. 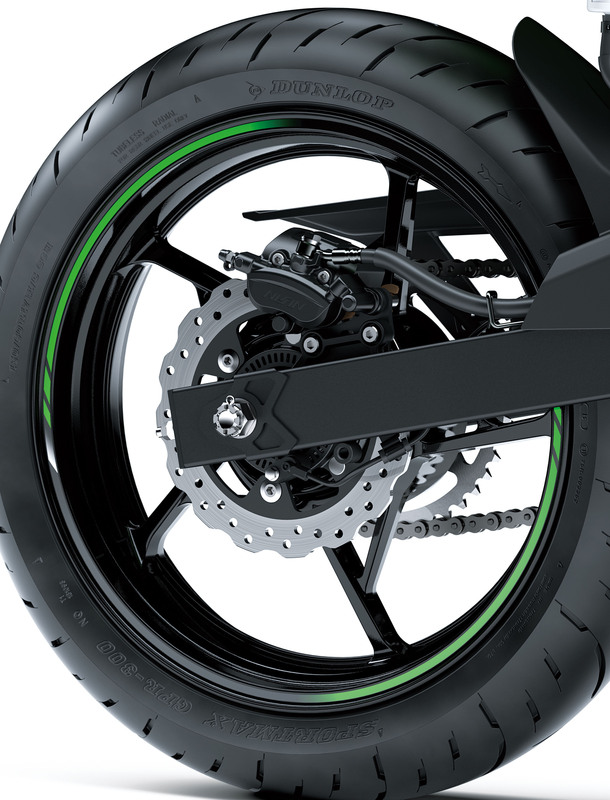 A dual-piston caliper is mated to the 310mm front brake disc while a the 220mm rear rotor is matched with a dual-piston caliper with larger 27mm pistons. 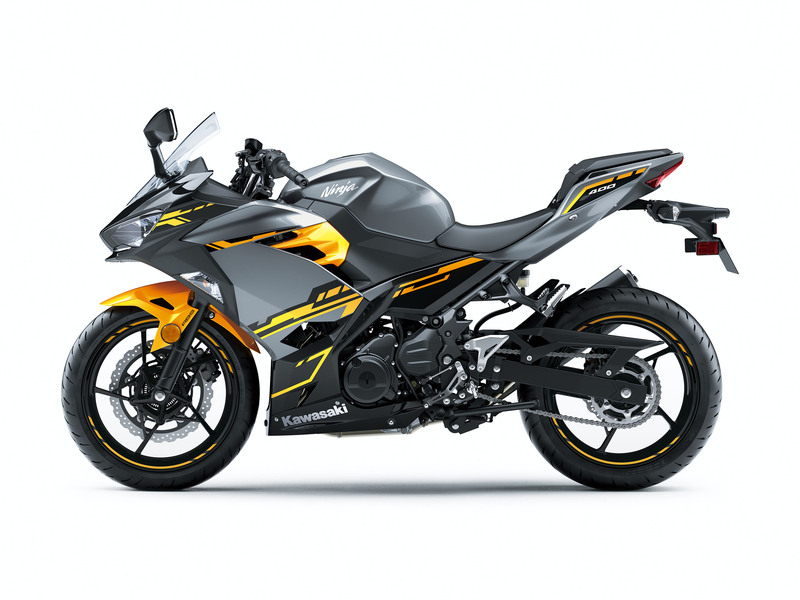 A Nissin ABS system is optional. 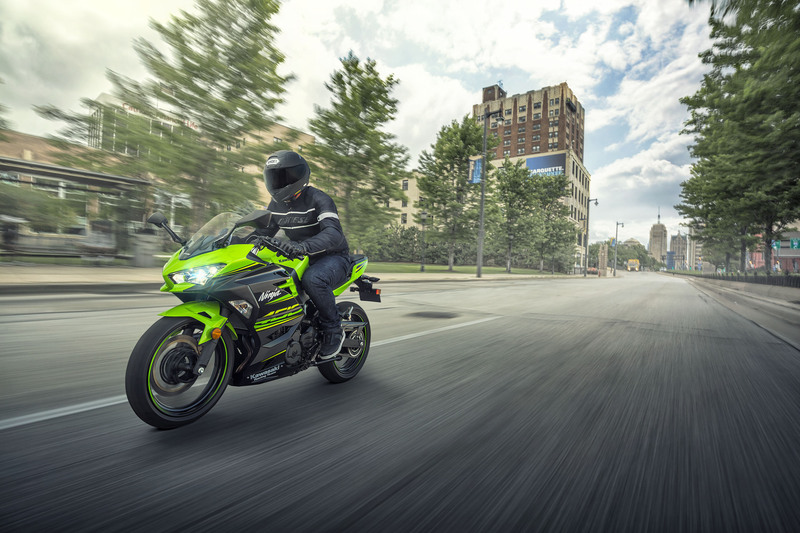 Designed to fit a wide range of rider sizes, the Ninja 400 has a relaxed rider triangle with a raised handlebar and slightly forward footpegs. 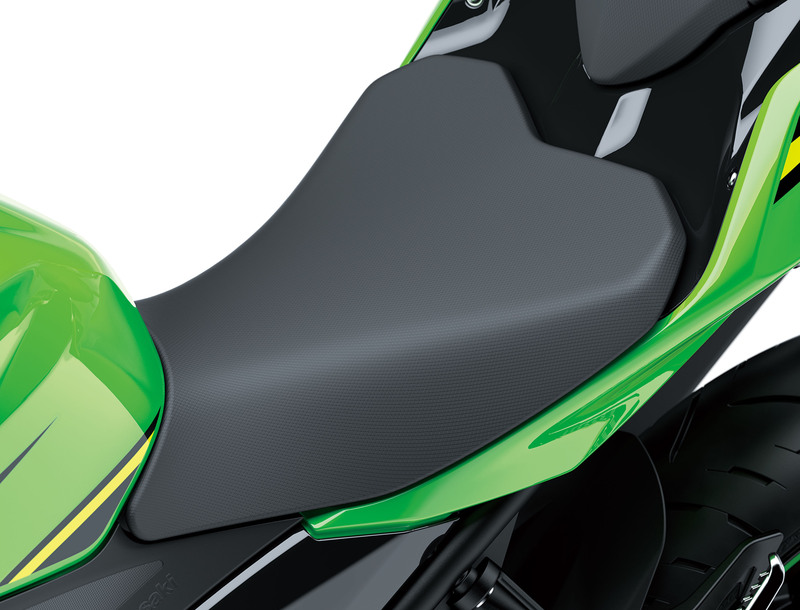 The seat height 30.9 inches, just like on the Ninja 300. 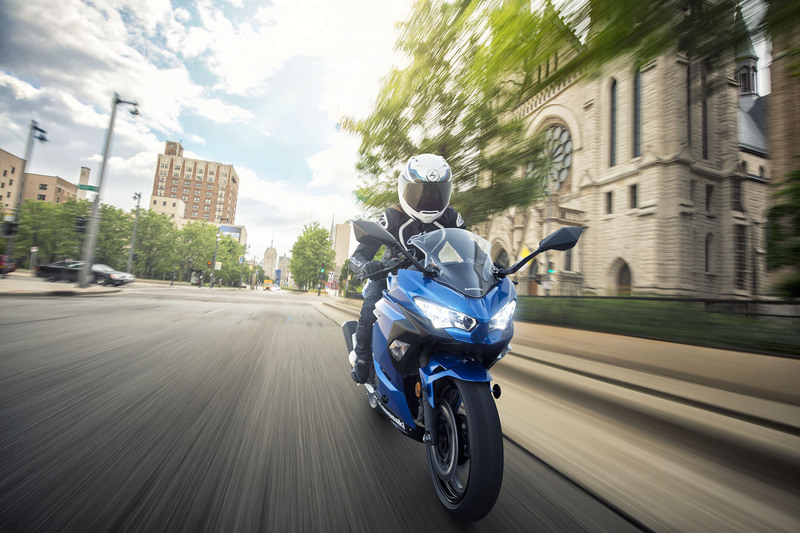 The new fairing is designed to offer improved wind protection and rider comfort. 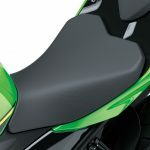 Also making things a bit more comfortable, a new radiator fan cover located behind the radiator directs air outwards to the side, away from the rider. 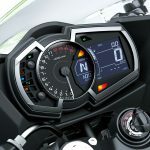 Other features include a 3.7-gallon fuel tank (down from the Ninja 300’s 4.5 gallon tank), LED headlights and position lamp, a multi-function LCD display with gear indicator and analog tach, and a claimed curb weight of 362 pounds (19.7 pounds lighter than the Ninja 300, though it also holds less fuel). 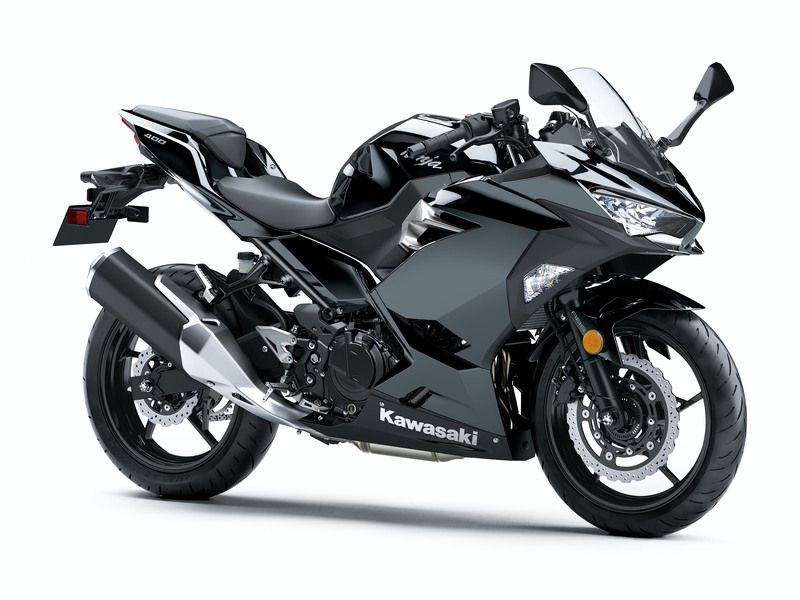 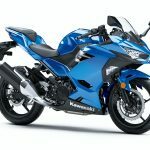 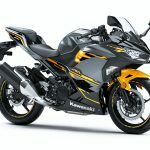 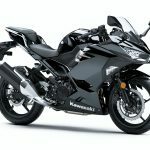 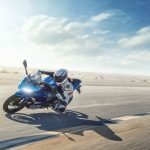 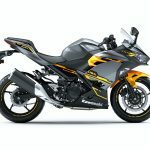 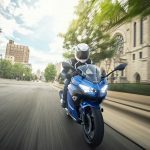 The 2018 Kawasaki Ninja 400 (with or without ABS) will be offered in a choice of Metallic Spark Black or Candy Plasma Blue or Pearl Solar Yellow/Pearl Storm Grey/Ebony. 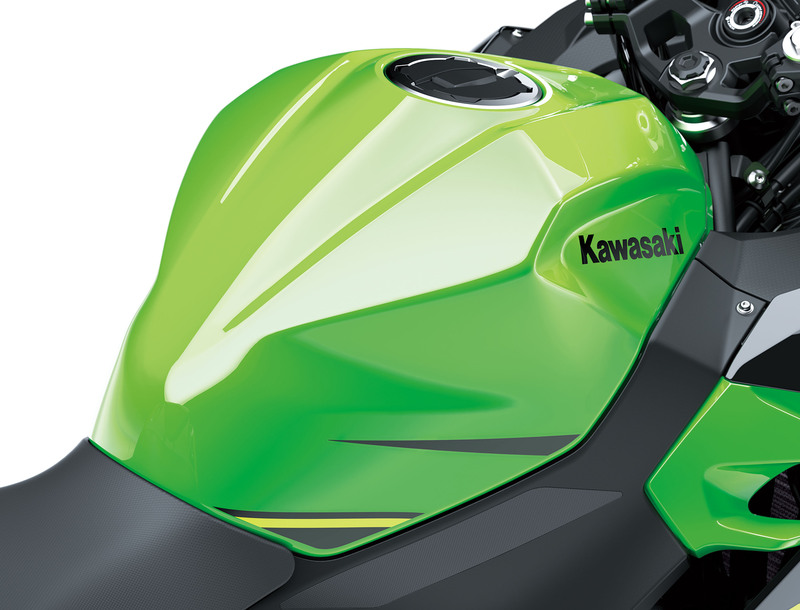 In addition, Kawasaki offers a Lime Green/Ebony KRT version.